50 most interesting websites that will cheer you up within seconds. Caving is discovering the cave systems by personally visiting and exploring inside a cave. It is the one of the best adventure sport for thrill seekers as its often dark and quirky inside caves. Caving is also best for explorers and people who travel in search of something new. Best and most popular caves are found in Meghalaya and Mizoram. And the best time for caving is - November to March. As the water levels in the caves are lowest at this time. 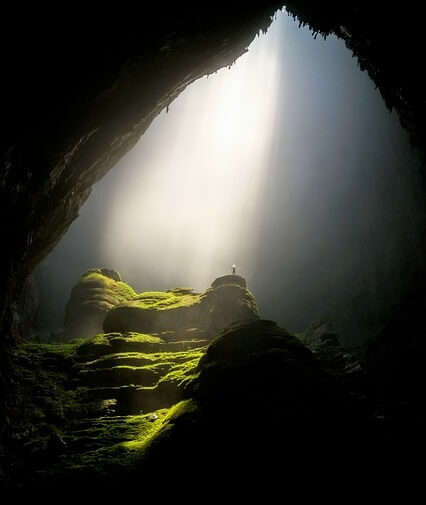 There are many more beautiful caves around the world that will make you speechless. Every cave has its own speciality. There are ice caves, crystal caves, glacier caves, marble caves and the glowing cave which recently became very popular on Facebook. Rock climbing is just like mountaineering but it takes place on less steep and low height rocks. 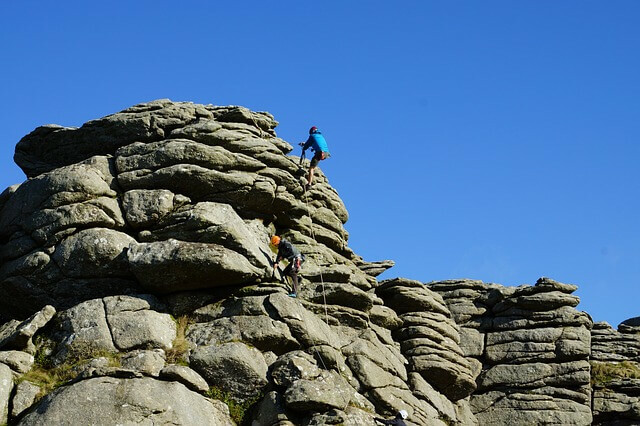 The main objective is to climb the rock without any equipment using just your hands and feet. Therefore it takes a lot of stamina. Rock climbing can be done on artificial as well as natural rocks. There are uncountable rock climbing places in India but if you want natural experience then Rajasthan - Mount Abu and The Western Ghats around Mumbai are the most famous places for rock climbing. The best part of it is that you can go for it anytime of the year except for the monsoon months, as the walls get slippery at that time. Another form of road trip where you get the advantage of the breathtaking view. Experience high mountain passes, beautiful valleys, stark deserts, and lush forests. Escape your daily routine on an adventurous jeep safari across valleys, listening to sounds of waterfalls, travel through the forests, meet and greet new people. Most popular jeep safari trails are in North India - Manali, Leh, Ladakh, Shimla, Nainital and Corbett. Along with them, Sikkim in East and Rajasthan and Gujarat in the West are also very popular places for Jeep Safari in India. Best time for Leh and Ladakh is May to September and for rest, it is spring through autumn. For western regions winter is the ideal period. What could be better than camping in a forest or near a river bank under beautiful night sky glowing with stars, sitting around the bonfire, listening to sound of river and forest? Mere its imagination makes us excited then how would you feel when it would really happen in front of your eyes. In the north, it can be done in Ladakh, Himachal Pradesh, Uttarakhand and Jammu and Kashmir. In West - Rajasthan and in South - Goa. 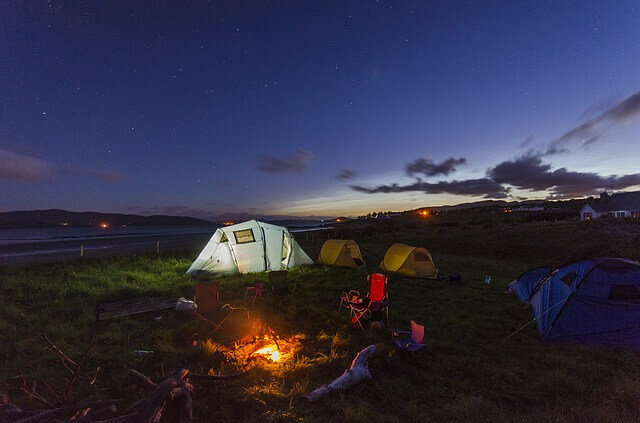 The ideal time for camping in the north would be in spring and summers, in the west would be autumn and spring, in the south would be spring and autumn. As the name suggests these are adventure water sports, they are done in water. These sports take you to next level of adventure which is higher than land sports and lower than air based adventure sports. Parasailing is one of the extreme sports that gives you a combination experience of air and water sports. It is basically paragliding on water, where you are tied with a parachute and that parachute is tied with a motor boat. That motor boat pulls you all over the sea and you have an ultimate flying experience. 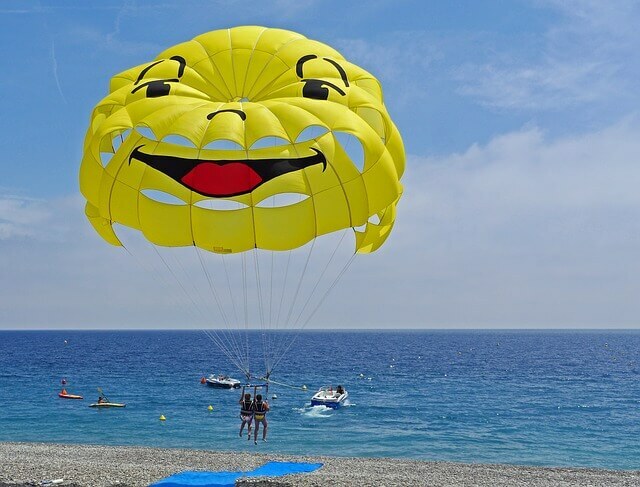 The top destination for parasailing in India is Goa, Maharashtra, Kerala and other coastal regions of India. Best time for parasailing is from May to October. 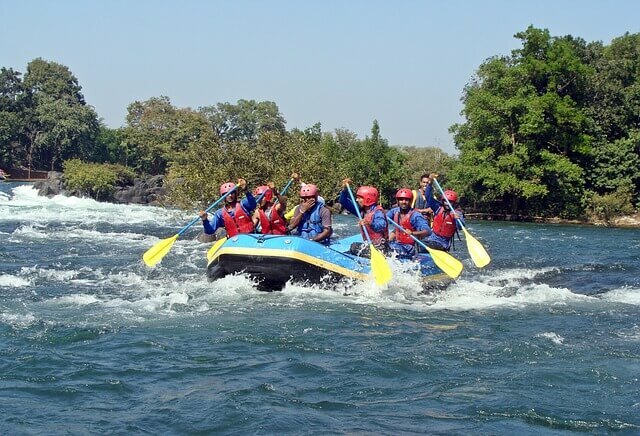 Many of us would be familiar with rafting as it is the most popular adventure sport in India. Rafting is a challenging sport where you navigate the river in an inflatable boat called raft. This requires no prior experience and even non-swimmers can enjoy it if done with proper guidance. Best sport to enjoy with friends. The Ganges river in Uttarakhand and Uttaranchal has been the major spot for adventure seekers from a very long time. Other spots of rafting are in Sikkim, South Karnataka and Maharashtra. Best time for Rafting is in spring season from March to June. 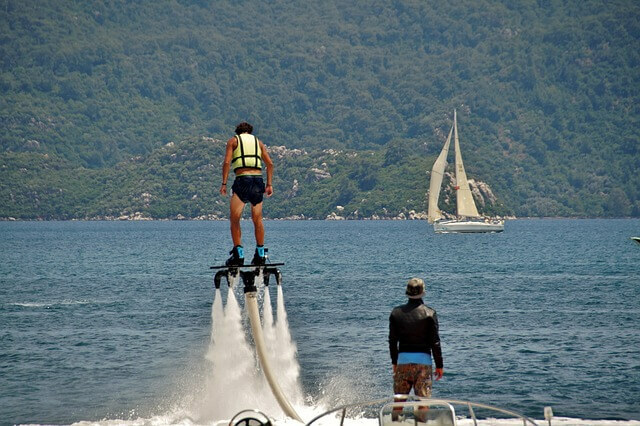 Flyboarding is newest extreme water sport that has recently gained popularity. It is a board which uses propulsion of jet ski, pushing water downwards and creating such force that pushes you above the water up to 45 feet. This amazing sport requires an understanding of Flyboard, how it works, after that you can be assured of a lifetime experience. We have seen Hrithik Roshan flyboarding in a scene of Bang Bang (movie), since then flyboarding took off in India. Goa became the first state to start flyboarding in India. There is no best time for it, try it whenever you are ready, but be sure to learn before trying. 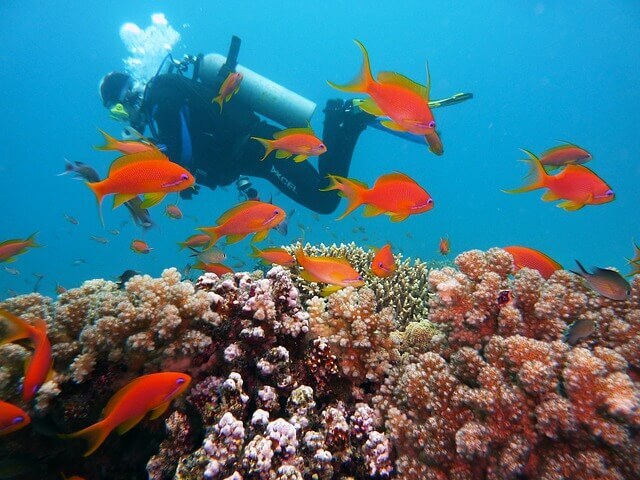 Scuba Diving fulfils your dream of swimming with fishes, exploring the underwater world in its true sense. It is life changing experience when you are under the water looking at the colourful and diverse fishes swimming all around you. Mark it on your bucket list. It is something you should definitely experience before dying. India with its vast coastline provides unlimited possibilities of diving. Its two major group of islands - The Andaman and The Lakshadweep offer the most unexplored and exotic diving locations in the world. The best time is October to May. Air adventure sports gives you most thrilling and extreme experience. Every human being has a dream of flying like a bird and this dream becomes true through these extreme sports. 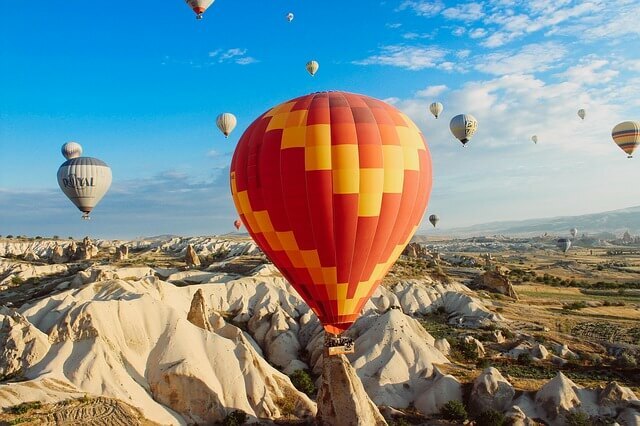 This sport gives you most magical and fantasy experience of flying in the sky in a basket attached to a hot air balloon. The air pulls the balloon up and in some time you are above the ground. Uttar Pradesh (Agra), Rajasthan, Assam (Guwahati), Uttarakhand (Dehradun), Karnataka (Bangalore, Mysore, Hampi). The best season is the winters from October to March. 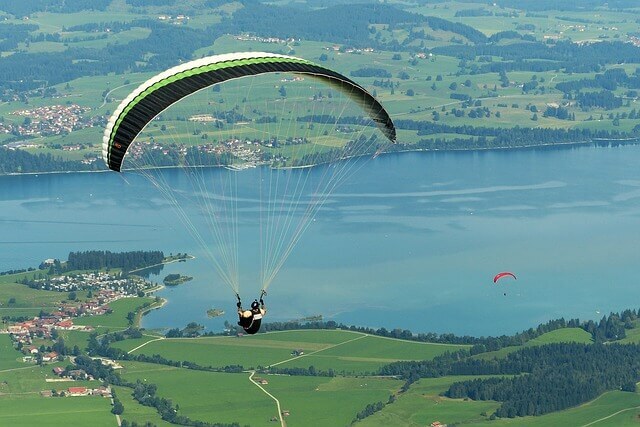 Paragliding offers ultimate experience of flying in the sky, but it requires training before you paraglide. Bir-Billing, Solang, Manali, Uttarakhand, Nainital, Mussoorie in North. Kamshet, Yelagiri, Bangalore in South. The best time is from March until early June and then from September till November. 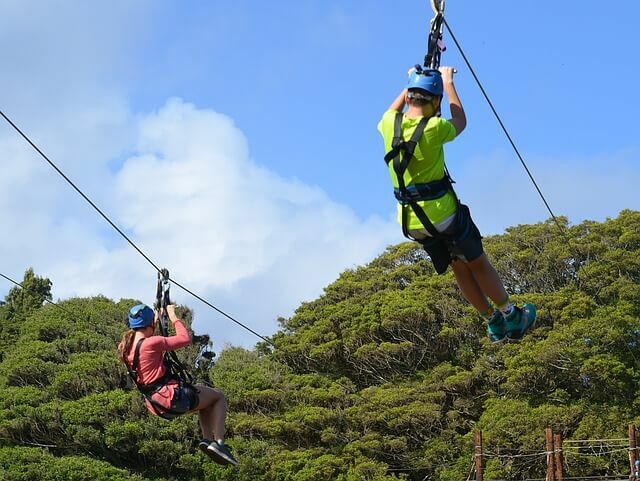 A zip line is a stainless-steel cable extended between fixed points of different elevation. It is also known as Flying Fox, zip wire, Tyrolean crossing. A person is tied with the pulley and pushed along the zip line, you go sliding along the zip line and believe me that is an insanely amazing experience. Rajasthan, Punjab and Madhya Pradesh. The ideal time for it is throughout the year leaving the monsoon months. In simple words bungee jumping is jumping off a cliff, don't worry you are tied with an elastic rope which lets you hang in the middle while the operators pull you up. It is the most thrilling adventure sport which gives you a great adrenaline rush. It is for people with strong courage. Rishikesh in Uttarakhand is India's first bungee site. It also takes place in Delhi, Bangalore and Goa. Plan trips, spend some adventure time with your friends, indulge in adventure activities. If you are not able to take out time then visit any adventure sports park and water parks near you, but don't miss these moments. You don't need to run behind money all the time, stop and make some time for travelling and exploring world. "I am busy" is a vague sentence. It's neither going to make you happy nor satisfied. Well, I have decided to try every outdoor adventure sport mentioned above and I hope you also have these on your bucket list. Share your favourite adventure sport in the comments below. Soprano vs Concert Ukulele: Which One is The Best? Polaroid Zip vs HP Sprocket: Which one should you Buy? Nikon D3400 vs D3300 - Which Is Perfect For You And Why? Solved: How to Become an intelligent Genius Overnight? © Copyright Hownwhys, All Rights Reserved. Protected By DMCA. Copyright 2017 Ⓒ Hownwhys. All rights reserved.. Powered by Blogger.